Leonard Cohen's final book of poetry is set for release next week, and it's now been revealed that a posthumous collection of music could see release next year. Speaking with CBC's q, Cohen's son and producer, Adam, confirmed he was working to finish a collection of unfinished songs the Canadian music icon had been at work on before his passing at age 82 in 2016. "I was tasked with finishing a few more songs of his that we started together on the last album, so his voice is literally still in my life. It's a bizarre and delicious entanglement," Adam told host Tom Power. 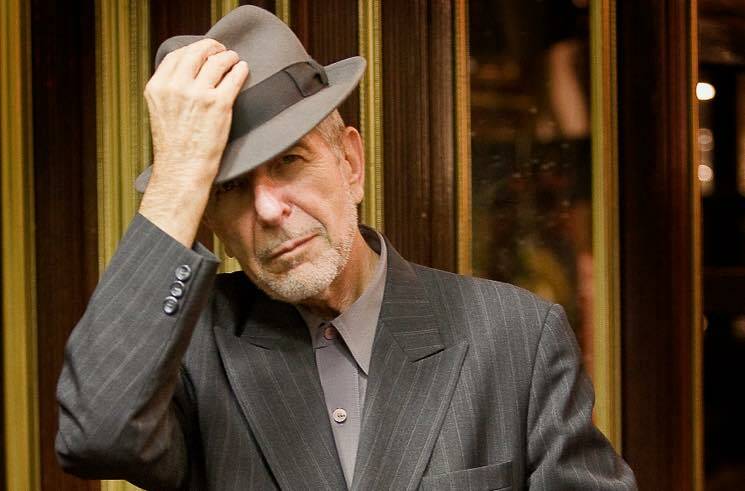 "To make a long story short, I believe that there are some really beautiful new songs of Leonard Cohen that no one's heard that are at some point going to come out." Adam, who produced Cohen's final studio LP You Want it Darker, revealed that as they were making the album, "I would implore him, even though I knew he was in a delicate state, I'd say, 'Dad, just read this, just read this poem to a metronome and we'll look at it later.' Some of my favourite poems of his are actually in the vault and I was tasked with finishing them." You Want it Darker saw release three weeks before Cohen passed away, though Adam said the unreleased recordings from that time period are different in tone by comparison. "What's also beautiful about them is that, unlike the the gravity and the nature [...] of You Want it Darker, these have a sort of more mytho-romantic [tone] that resembles his older work, something more romantic," Adam revealed. "So that's also more surprising." Adam's complete interview on q will be broadcast Monday, October 1. Cohen's final collection of poetry, The Flame, will arrive October 2.